Introducing Brett Schneider, Founder of Lax Elements | Shafer...Power! Welcome to the newest segment on our blog, Youngpreneurs, where we feature stories about young entrepreneurs from across the U.S. In this episode, we sat down with local Austinite, Brett Schneider, Founder of Lax Elements. Brett’s a super-sharp guy who has done some amazing things and was kind enough to show us his company’s operations and answer a few questions from the kids. We hope you enjoy! What were your favorite things to do as a kid? As a kid, I loved to do origami. In fact, in third grade I sold it to kids in my class. And in 6th or 7th grade, I started selling stuff on eBay. I remember my parents were going to give some stuff away but I sold it on eBay intead and that worked pretty well. And a few summers ago I went to a programming camp and I was able to make an app. So I thought I might do that for awhile. But anyway, that’s what I did until I started doing what I’m doing today. How did you go about learning as a child? I was more of a visual learner than anything else. For example, if someone would say something to me I would be able to understand it, but it was always easier if they wrote it down or if they showed pictures or did a demonstration. I always learned better through those methods than if someone was just talking without any visual aids. 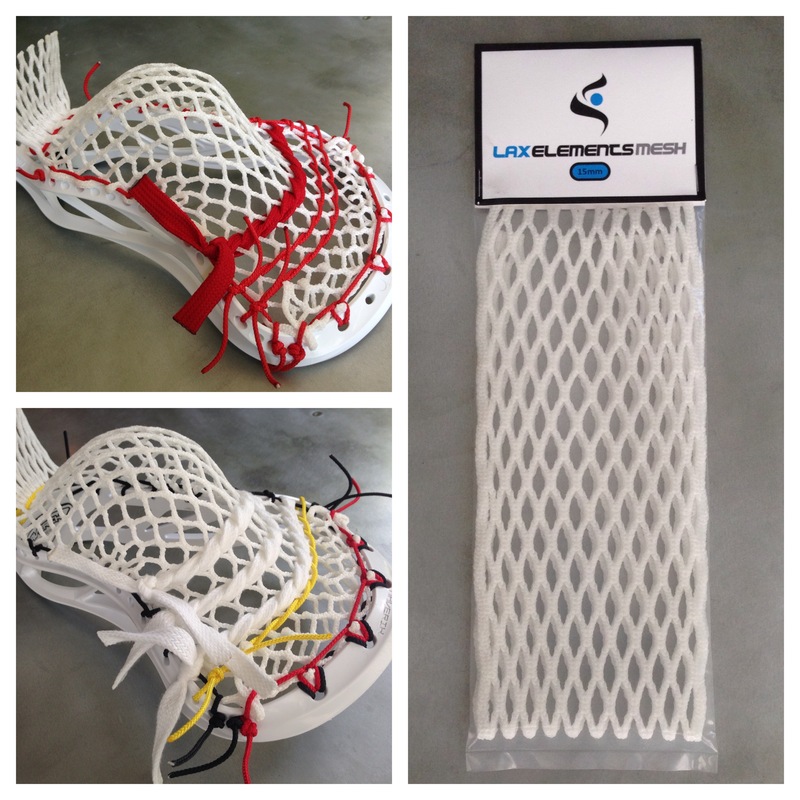 I provide the finest custom mesh and stringing services to the lacrosse community. When did you first know you wanted to be an entrepreneur? It wasn’t really a decision…it was more something that just happened. I just started selling a bunch of mesh for stringing a lacrosse stick and then I started doing custom stringing jobs. I like the creativity of it. I can venture out and create my own products and patterns and do whatever I think might sell. I also like the flexibility of it because I can work whatever times are convenient for me. The most challenging thing is that I get orders during school and would have exams the next day…and kids would expect the lacrosse heads to be done. Sometimes I have to stay up late to get it done. Sometimes, I’ll be stringing sticks and studying for a final exam at the same time. What would you be doing if you weren’t customizing lacrosse sticks? I probably would have continued programming. That was really cool and I really enjoyed it. I really liked the idea of putting apps on the App Store. What is your favorite thing you’ve designed or created? My favorite thing is probably our web site, which I worked really hard on. I think it looks awesome! I also really like our plain white mesh…it’s really cool; as a stringer, it feels like the best mesh to string. My third favorite thing I’ve designed is our camo mesh…it also looks really cool. I think that working hard is the best thing you can do. For example, when I string, I need to make sure everything is perfect and that the customers is going to be satisfied. Also, persistence is really good because you’ll need it to make sales. It started with me just tinkering around with stringing sticks. I thought the idea of stringing was really fascinating because I played lacrosse and I had no idea how the pocket worked. And so I started to explore that and starting watching YouTube videos. And as I got more interested, we decided to go to New York where the master stringers were at…a guy by the name of Greg Rose…and they taught me how it works. And that’s how it got started and how it took off. And now I string my sticks over and over to keep perfecting what I’m doing. And the cool thing about this type of business is that I really love doing it and that makes it easy to do. In fact, when I string a lacrosse sticks, it’s like playing a video game…I get the same level of enjoyment. It’s not work at all and I’m extremely excited about it. Well done Brett…keep stringing. And thank you for sharing!